Weekly Wrap-up: What’s your favorite challenge? I know generally I sit down and spend the morning with you, but this morning the family and I had quite a bit of running around to do. We had a great morning and now I’m here to babble to you about this and that. You should always have an air of excitement around you- it keeps things interesting. The first week of October, come and gone. Can you believe that Christmas…Christmas… is only 79 days away. SEVENTY-NINE DAYS! Crazy. I have so many projects to start, finish, print for the holidays that I’m already behind. I need something to organize all my crazy to do, and I couldn’t help but eye up the new Hybrid Plan it! 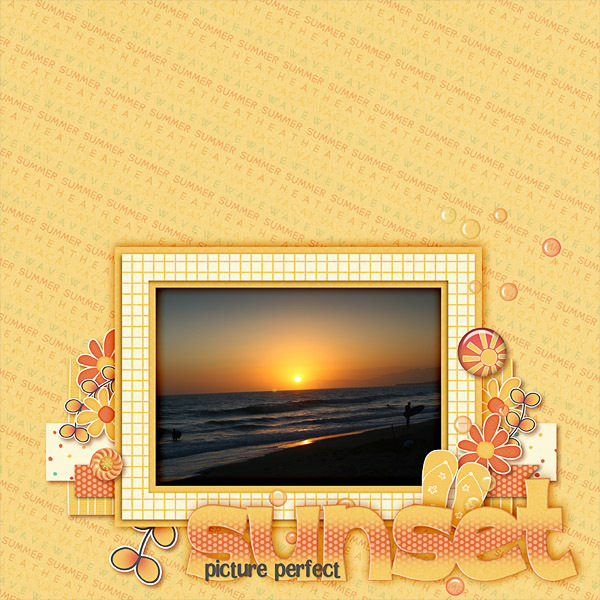 Charts from Connie Prince (JenE Creations). The more I sit here looking at it, I just know it’s going in my cart the minute I finish writing. I love that not only is there a schedule, but chore chart, work out chart AND A CREATIVE TEAM CHART! How fun is that?! Well, now that you’ve seen the new buffet and our new challenges what do you think? 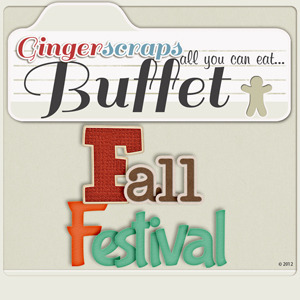 I am in super love with our October Buffet: Fall Festival. It is ridiculous, and by ridiculous I mean that in an absolutely good way. I am really into the challenges this month too. There are some fun new twists- like the mix-it-up challenge hosted by Crystal of Inspired Designs. I’ve been wanting to do a strictly black and white page, and now I’ve got double the motivation to get started. 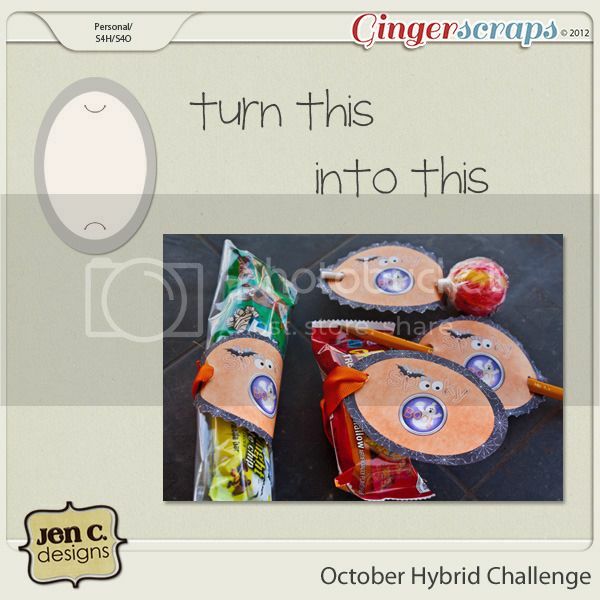 I really like simple hybrid challenges (since I’m totally not a Hybrid chick- you ladies that do Hybrid regularly are incredible), something that is 1, 2, 3 and done, so I’m really excited about this month’s Hybrid challenge hosted by JenC Designs. Don’t just limit your thinking to Halloween/candy tag! I’m envisioning gift tags (for Christmas!) and cute jar labels too! Today is the LAST day of Ocean Wide Designs Grand Opening Sale! That’s all I’m going to leave you with today, I’ve got to get my tush up and to exercise class! Have a happy scrappy Sunday evening! Weekly Wrap-up: A goodbye and a hello! It’s the last day of the month, which means tomorrow you’ll have a BRAND NEW Buffet to look forward to- and let me tell you… it’s fah-reak-ing AWESOME! I think one of my favorites to date, for sure. I know, I know, I’m totally a tease, but admit it, you love it! How about those commas? I’m a bit of an overload today, eh? So, let’s wrap up this month, before Sarah gives you all the new goodies tomorrow. We celebrated GingerScraps birthday this month, with sales, speed scraps, chats, prizes, SO MUCH FUN! We welcomed a fabulous guest designer, Meg of Ocean Wide Designs, who you just might be seeing more of… #wink We are also, sadly, saying goodbye to one of the sweetest designers I know- Maaike of Find Your Bliss Designs. She will be missed GREATLY and I hope she’ll still visit us in the forum! Maakie is having a SUPER sale in honor of her departure, her entire store is 60% OFF! Today is the last day, so fill your carts! Today, being the last day of the month (just to repeat myself), is the last day to get your September challenges in! 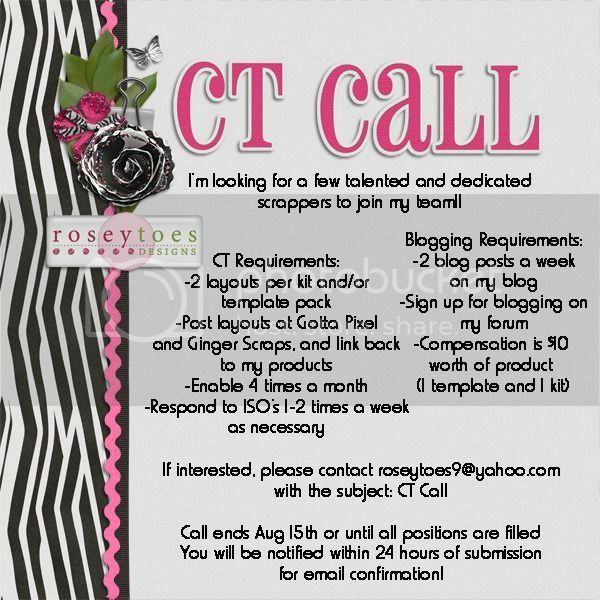 Do you have a goal every month? I try to get 14 completed each month, I’m ambitious, but it really pushes me to think creatively. One of the challenges, the scraplift, certainly aides in scrapper’s block. Tomorrow will be all new challenges, which I can’t wait to see! One of my favorite things about GingerScraps is the variety of challenges for everyone. Have you seen our new Monthly Mix? Each month a group of designers team up and mix-up a fantastic collaboration for YOU! This month unveiled the first, Who’s Wise? I know it’s another short wrap-up this week, but I don’t want to overload you, what with so many new things happening right away tomorrow… which, have I mentioned, I am TOTALLY READY FOR! Okay, done teasing you, bwahaha! Have a totally awesome rest of the day! Weekly Wrap-Up: Birthday Weekend Extravaganza! It has been a whirlwind weekend, with speed scraps, slow scraps, sales sales sales, prizes, chats, truth or dare, and SCRAPPING! I hope you have all had as much fun as I! Today is your LAST CHANCE at the Birthday Bundles– a heck-of-a deal! THREE previously released kits are bundled together for one low price of $5! CRAZY! We have a new addition to the Welcome Wagon. Z Pink Boudoir Designs has added a lovely little mini that looks so…refreshing and cool! 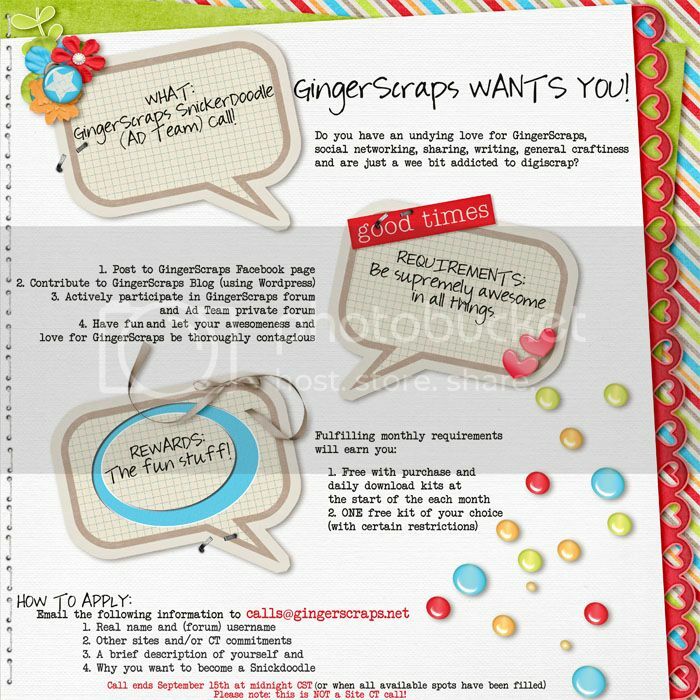 If you’re new to GingerScraps, or even new to digital scrapping altogether, the Welcome Wagon is a GREAT place to start building your stash. 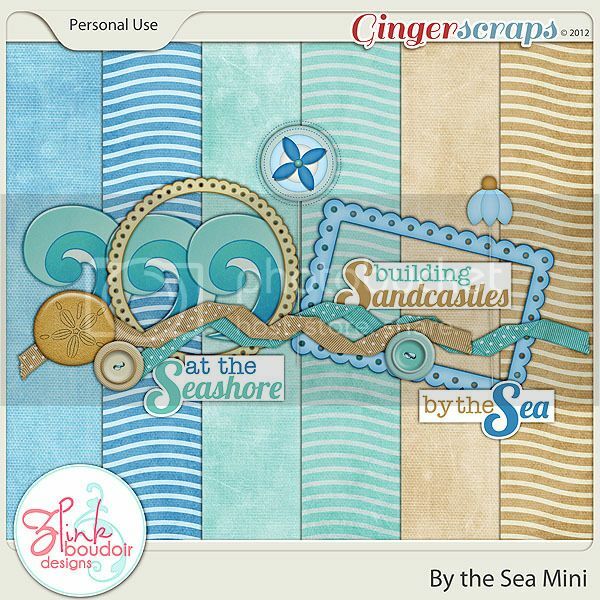 So many of our designers have created cute little minis and templates for you as a gift to say, “Hey, thanks for joining us here at GingerScraps. Stay awhile and happy scrapping!” All you’ve got to do is register in the forum- but I must warn you, with registration comes… a steady increasing addiction to checking it daily and making new friends, learning new tricks, earning rewards from just…scrapping! If you can handle that, then PLEASE join us! I LOVE seeing new faces introduce themselves. I’ve seen a few new faces this weekend, during our Birthday Party! A BIG WELCOME to YOU! We do hope you stay with us, make GingerScraps your digi home. He can be tricky, but once you’ve found him in each of our designer’s stores, you will win coupon for $5.00 in the GingerScraps Buffet! 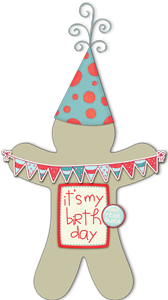 You could also win a GingerScraps Store Gift Certificate! 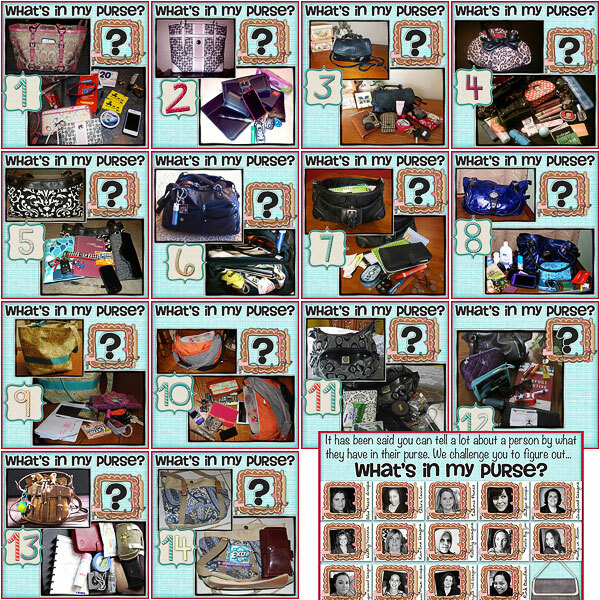 All you’ve got to do is match the purse to the designer in the “What’s in my purse?” game. This is such fun! One more thing! 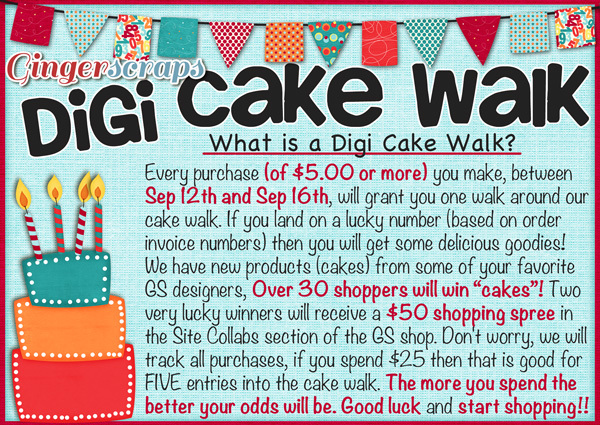 While you’ve been filling your cart this weekend, you’ve been taking a walk… a cake walk! Which reminds me, I’ve got more shopping to do today! I hope everyone has had as much fun as I have this weekend. Thank you EVERYONE for celebrating our birthday with us! We enjoy having you a part of our community and appreciate all our friends!! Have a super awesome Sunday and happy scrapping to you all! Where did August go?! I know I say it every month, but that’s because I just can’t believe how fast this year is whizzing by! We’ve got five days left until September begins and the start of a new month is always my favorite, I know I’ve said that too before! With good reason, too, it’s so exciting seeing all of the new challenges, the buffet that the designers work so hard on, new guest designers, new new new- I love all things shiny and new! …now now now, before we get too excited about the newness of the beginning of a month, let’s not forget the end of this month! You’ve still got a few days left to complete your challenges – I know I need to get a couple done! One of those on my list to finish is the Technique Challenge, clipping papers (to alpha, but you can clip papers to ANY shape!). The tutorial, by Amy P of Unforgettable Moments, is very good for beginner scrappers, definitely a good trick to know and have on your scrapper belt. she blended two papers and clipped to her alpha, creating a fun effect! Her entire page is beautiful, too. I’m totally inspired now to get fancy with my alpha! It’s truly a lazy Sunday here, but I’m gearing up to attend an exercise class (Lord, help me!) this afternoon and I’m terrified! Of course, I intend to scrap about it, maybe even for my technique challenge. 😉 There are a couple GREAT get fit, be healthy, weight loss, life changing kits in the store that I just HAVE to share with you! and some great wordart, Getting Fit by Creations by Julie. Pair all three kits together to make a fun food, exercise diary! 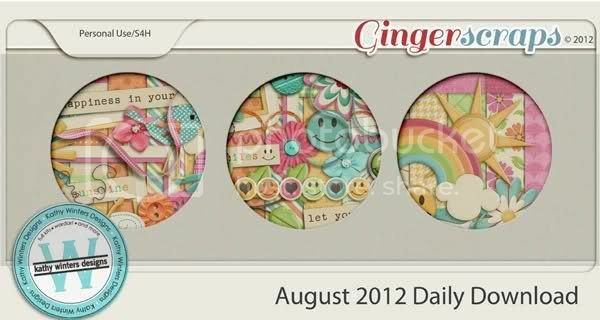 You could even use Creations by Julie’s Hybrid planner pages template to create your diary/log. I’m totally inspiring myself right now, so I hope I’m also inspiring you too! It’s a wee bit quiet the last week of the month, everyone so busy wrapping up, so I haven’t got much more to share with you, but do check out our Fresh Baked from Friday, there are some ridiculously cute kits that came out – that’s not exaggeration. RIDICULOUSLY cute, so go check ’em out! Have a happy scrappy day my friends! Weekly Wrap-up: Well hello there August! It’s August! Can you believe it? I can’t. For real I can’t. With the start of a new month, we of course have a gazillion new things, buffet (GO TEAM! ), challenges, DESIGNERS! I’m pretty sure I’m in love with these. I’m also pretty sure you need them in your life. 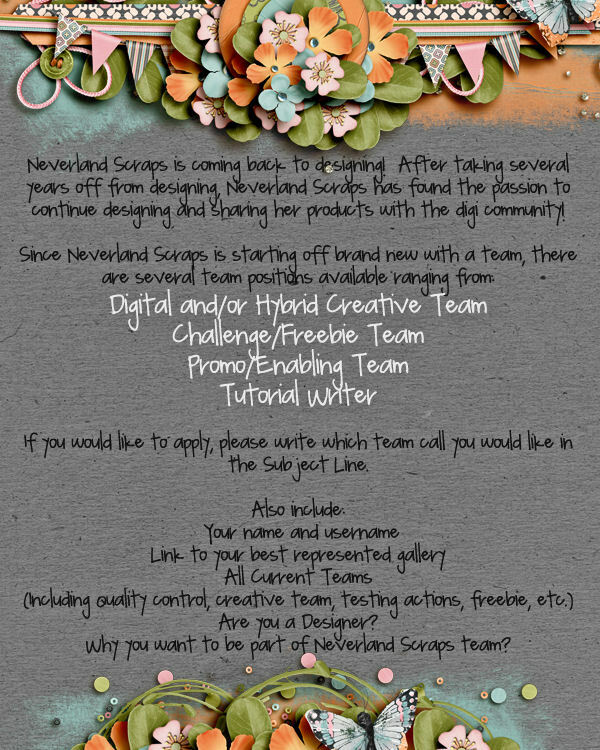 I’m pretty much in love with our new exclusive designer, Neverland Scraps too! Wendy has been a forum friend for some time ( we were even GingerSWAPS buddies!) and I am suuuuuuuuuuuuuuuuuper excited that she has laced up her designer shoes and joined our lovely design team! Let’s not forget our August grab bag! Blue Heart Scraps put together an incredible kit full of crazy awesome things you NEED (see, you need everything). The BEST part about this kit? You can get it for FREE by spending just $10 in our store! Have a happy scrappy Sunday! Weekly Wrap-Up: Got your eyes on the prize? Late start for me this Sunday, woke up with a crick in the neck and while I was putting away clean dishes I suddenly needed to reorganize my Tupperware cupboard. Yup. So, now I’m here, with my fresh cup of Butter Toffee flavored coffee (just a quick splutz [that’s a word, I promise] of milk) and ready to dawdle on through what will undoubtedly be a very lazy Sunday. The biggest thing happening around here is our Christmas in July celebration! Please kindly crawl out from your rock if you were unaware of this. 😉 We’ve been so excited about all the activities and PRIZES – OH THE PRIZES! – that it’s been quite difficult to contain our exuberance. Today wraps up our celebrations, so if you’ve got any last minute layouts to finish for the special challenges, or want to pop into one last chat (a story speed scrap!) with Pixels by Jen (2:00PM EST!) then now is your chance! Have you been keeping track of your event points? Got your eyes on the BIG prize? If you earn a total of 10 points by Sunday July 29th at midnight EST, you will receive this special gift from our GingerScraps Designers!! Check out the Christmas in July thread for all the details! One of the challenges you can complete for our Christmas in July(CiJ) celebration is the Hybrid Ornament – which I am working on making several of for Holiday gifts! Simple, personal and, obviously, awesome. December will be here before you know it- yes summer is still in full swing, and I am expecting some very warm August days to come but yes, AUGUST! There are only three days left of July! HOLY MOLY! I’ve come to the conclusion that there is indeed a time thief among us. 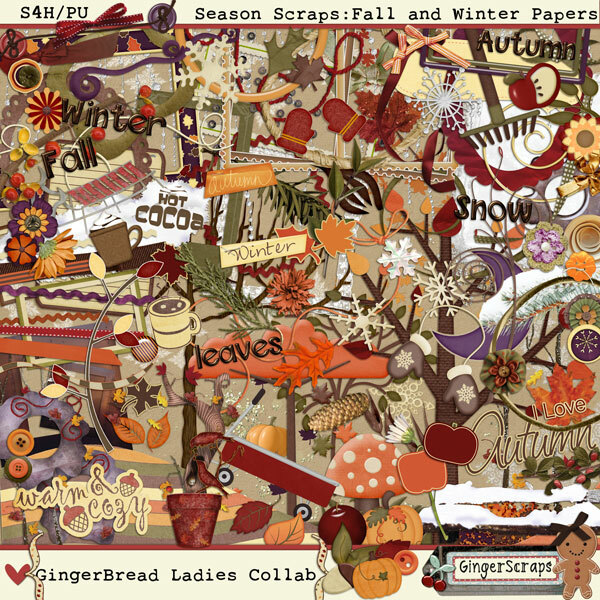 Get ready though, August is bringing some phenomenal things to GingerScraps (as if any other day doesn’t already 😉 ). However, soak up the last few days of July by shopping PsychoZoe’s Retiring Sale. Don’t miss these, get them now before they are gone! Don’t forget to browse our ENTIRE store either, so many of our Designers having many items on sale through today. If you’re new to us (HELLO!) 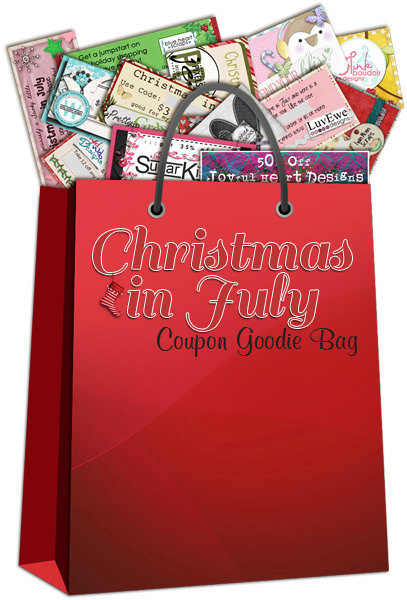 totally take advantage of our Christmas in July extravaganza! And remember if you spend $10 in our store you get this HUGE Grab-bag for FREE! Speaking of new, I’ve seen so many fresh smiling faces (emoticons 😉 )in the forum that it warms my scrappy heart! WELCOME WELCOME! I hope each and every one of you gets your fluffy bunny slippers on and makes GingerScraps your cozy little corner of the web. We LOVE having you here! With that, I’m wrapping up this wrap-up to go and get scrappy with it. Have a scrap happy Sunday my friends!